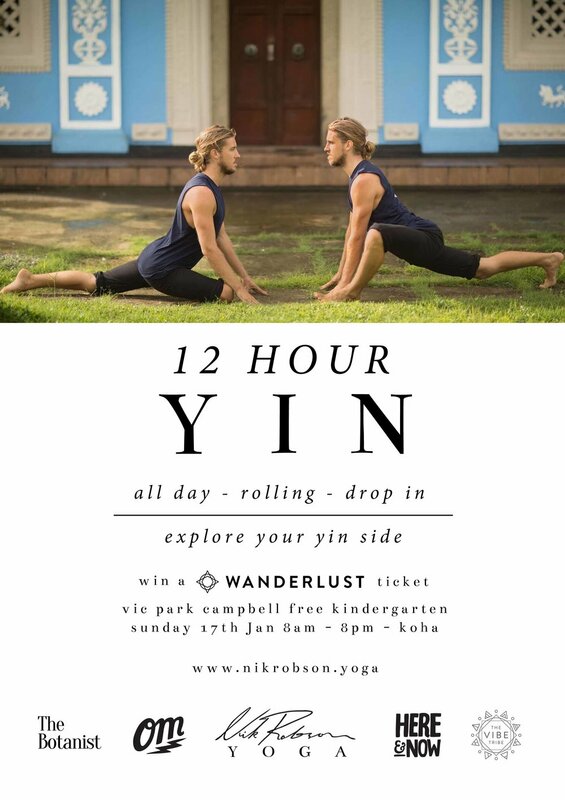 Nik Robson offers his teachings in a variety of different formats including Yin Yoga Teacher Trainings, Yin Journeys, Free Talks, and Workshops Series. 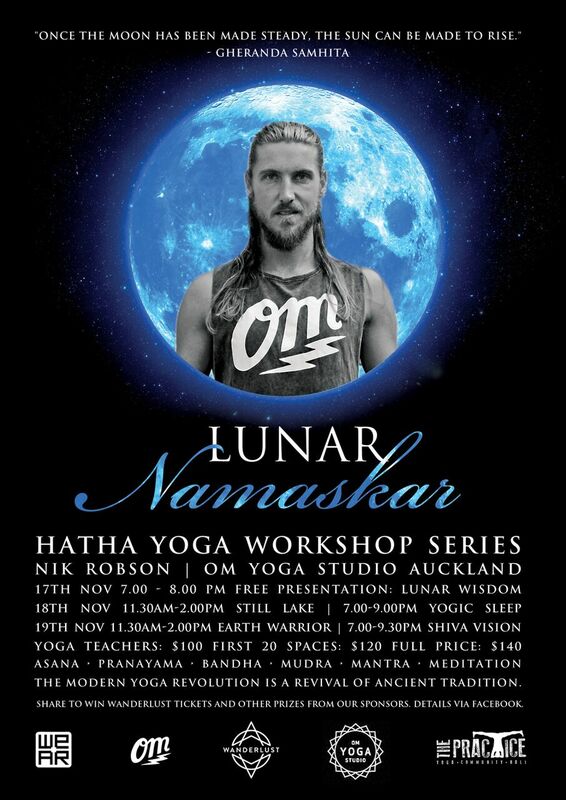 He has taught extensively throughout New Zealand, Bali and Sri Lanka at Yoga Studios and Festivals including Prana Festival, Wanderlust AUS/NZ, Earthbeat, Love Lake, and Splore. We are currently creating our 2019 schedule. If you are interested in hosting any one of the events below at your studio or festival please email hello@nikrobson.yoga. An education experience and a transformational journey. Deepen your practice and learn the tools to share it. 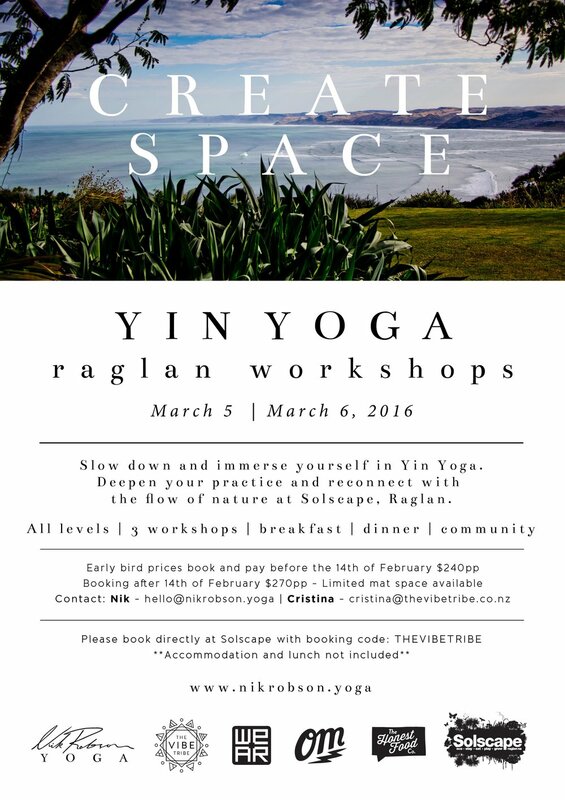 Limited spaces open to yoga teachers, dedicated practitioners and genuine seekers. Course Content: Taoist and Yogic Philosophy, Principals of Practice, Principals of Teaching, Myofascial Meridian Anatomy, Yogic Energetics. Methods: Lectures, Practice, Teaching Practice, Pose Workshops, Discussion, 6 Hour Yin Journey, Day of Silence, Opening and closing ceremony. 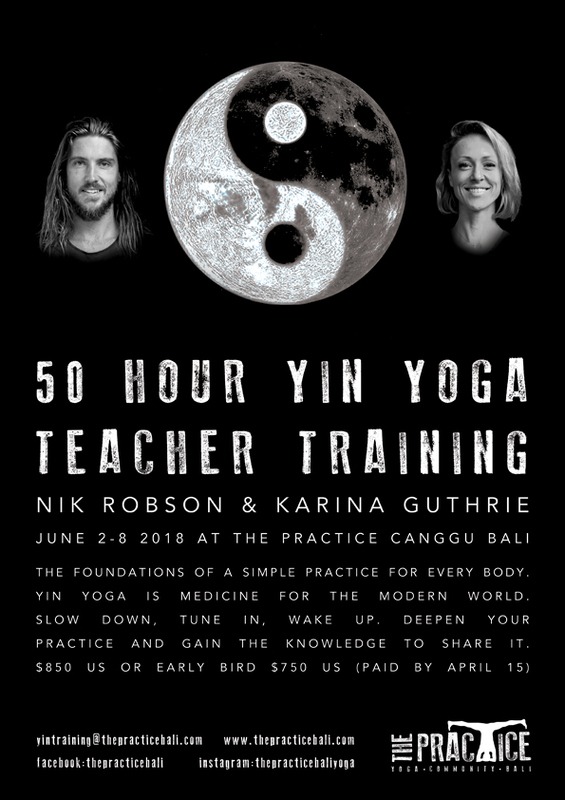 Email hello@nikrobson.yoga if you are interested in participating in a teacher training or would like to host a teacher training at your yoga studio or retreat space. 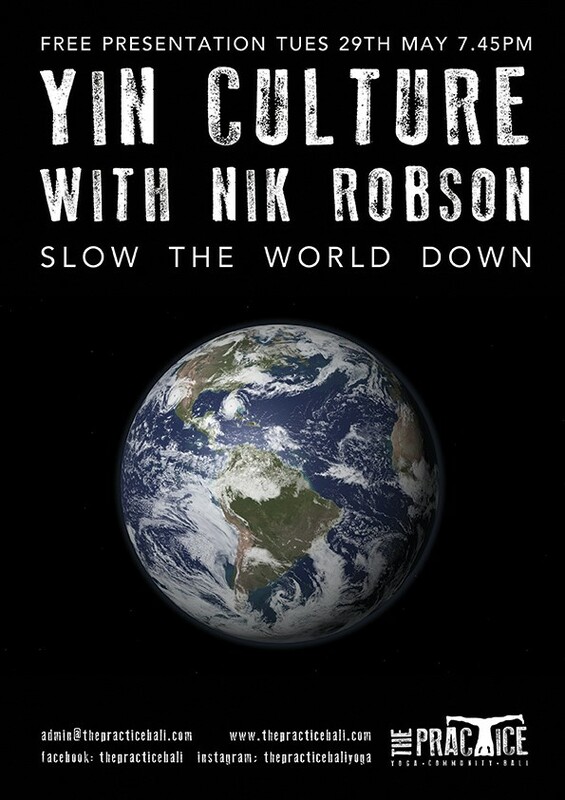 In 4-6 hour format Nik teaches these events solo usually with the accompaniment of live sound journey with one or a team of musicians. These are perfect for Festivals or Yoga Studios. Previous locations include Love Lake Festival Taupo, The Practice Bali, True Food & Yoga Auckland, Prana Lounge Colombo, Sri Yoga Shala Unawatuna. In 12 Hour format guest teachers are featured and class is held in a rolling, drop in format where people can come and go as they please. This takes on the feeling of a Yin Yoga conference as each teacher shares their own unique perspective on the practice. 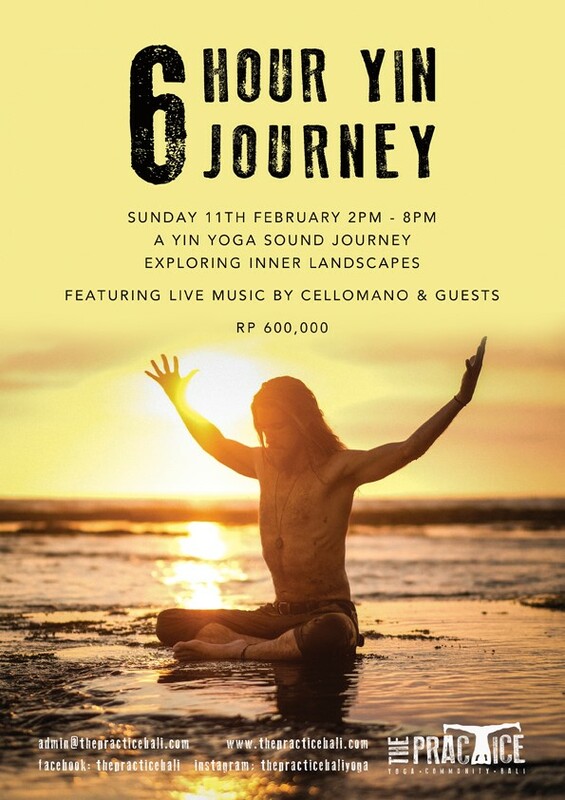 Previous events have been held at True Food & Yoga and The Practice Bali. Email hello@nikrobson.yoga if you are interested in hosting one of these events at your festival, studio or event space. Looking at the world through the lens of Taoist Yin/Yang philosophy we see that the planet is getting hotter, the pace of life is getting faster and our modern culture is becoming increasingly disconnected from nature. We have become too Yang, so we must practice Yin. Yin Yoga is medicine for the modern world. A simple practice for every body. Slow down, tune in, let go, wake up. Nik shares the philosophy of Yin Yoga in way that is relevant on and off the yoga mat. These talks are perfect for Earth conscious festivals and as an introduction to workshop series or Yin Journey events. Email hello@nikrobson.yoga if you are interested in hosting one of these talks at your festival, event or studio. Weekend workshop series offer the chance for students and teachers to deepen their practice and knowledge. Each workshop is 2.5 or 3 hours long which includes an opening talk followed by a masterclass practice. Previous events have been held at Prana Lounge Colombo, The Practice Bali, OM Yoga Studio Auckland, Solscape Raglan, Hot Yoga Wellington, The Loft Whangarei and Yoga Tree Taupo. The foundations of a simple practice for every body. An introduction to Taoist Philsophy, Myofascial Meridians, Prana Vayus and Yoga Nidra. 1) The Yin Side: Understand the Taoist Yin/Yang philosophy and how to embody Yin qualities in your practice. Yin Yoga as a container for mindfulness and insight meditation. 2) Backline Grounding: Learn the science of fascia as we work with the superficial backline to experience the wholeness of our body system. Cultivate apana vayu (downward descending energetic wind) to feel grounded, steady and calm. 3) Spinal Restorative: A gentle yin flow targeting the spine to move it in all directions (forward, back, lateral and twist) while cultivating an even balance of prana within the body. Meditation on loving kindness and gratitude. 4) Healing Light: Yin Yoga and Yoga Nidra to release blockages, sensitize to energy, relax deeply and move healing light through body's marma points. Explore inner landscapes with Yogic maps of the energetic centers (chakras) rivers (nadis) and winds (vayus). Using the full spectrum of methods from the Tantric Hatha Yoga Tradition incorporating Asana, Pranayama, Bandha, Mudra, Mantra and Meditation. Inspired by the ParaYoga system of Moon, Sun, Fire. 1) Chandra: Steady and stabilize mind and body through the use of forward folds, twists and long exhalations to cultivate apana vayu and samana vayu. Meditation on stillness. 2) Surya: Sensitize to prana (energy) with back bends, laterals and kumbhaka (inhale retentions) to cultivate prana and vyana vayu. Meditation on the heart. 3) Rudrani: Full spectrum practice incorporating bandha and mudra to cultivate sacred fire (rudrani) in the naval center, merging prana (inhale) and apana (exhale) in order to transcend duality and awaken our dormant potential. Mediation on fire. 4) Nidra: Asana and Pranayama prepare the body for Yoga Nidra where the body and the mind sleep but awareness remains present. Using the power of sankalpa (resolve) we access the subconscious mind to change the world around us. Email hello@nikrobson.yoga if you are interested in hosting a workshop series at your studio.